Tough rug for the paddock, washes up really well. Available in 3 colours. New fresh cool white, perfect for Summer show sets with added durability to be used in the paddock. Blue / White check and the new purple and gold. 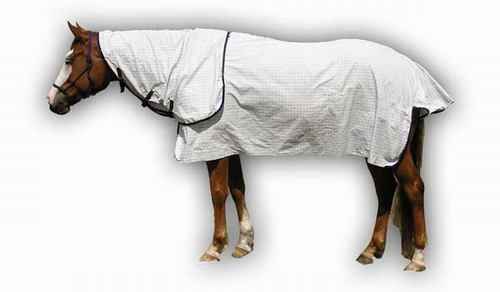 100% Polyester ripstop is our economy style is a very durable everyday rug a must have for any horse. It has huge satin lining in neck, no binding on bottom edge. (Does not affect strength) A lot stronger than those cheap imported brands. Invest in quality and save on costly repairs. Wash up really well.